On Veilburner‘s third full length in as many years, The Obscene Rite, the band not only closes a conceptual and ideological trilogy but offers their most comprehensive and cohesive album to date. After hearing this multi-jointed approach cohesive may not be the first choice of descriptor. But after the scathing black/death metal from The Three Lightbearers and the progressive, oft times experimental song structures from Noumeneon this album combines and expands on both. It’s not an easy first listen but that’s precisely what makes it so magnetic. Unfortunately it seems Veilburner has, for the most part, flown under the radar. Which is a shame because the two albums they’ve released so far are the kind that should’ve seen a cavalcade of coverage. But this just hasn’t been the case. With The Obscene Rite all that should change. This is an album that is as off the wall as anything from Dødheimsgard and as horrific as the latest from Ævangelist. What it’s not is a two or three time spinner that gets tossed aside and never to be heard from again. An album that boasts 9 tracks in an hour better have something to hold your attention and this effort does just that. They’re not easily classifiable but then again if you want metal by numbers you wouldn’t be here in the first place. 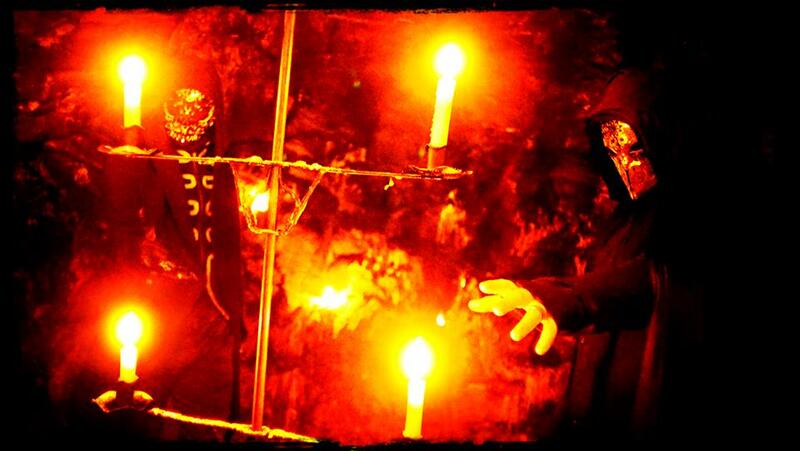 Veilburner are exceptional at oddball tempo shifts, disjointed structuring and jarring sounds — most of the time all at once. Folk metal, blast beats and a backbone of sprawling death metal make up the majority of opener “Postmortem Exordium”. “Vaterchen” peels the scab of doom and gloom with long drawn out riff verses and an increasingly dark atmosphere complete with off kilter fretboard theatrics. It’s slower to get to the point than most but the tension rises until the guttural release of Chrisom Infernium’s death growls near songs end. Switching gears completely, “Masquerade Macabre” is a calm instrumental that again plays on atmosphere and tension but its in moments like this that the band shows how cohesively they’ve combined their previous efforts. Not lost here is the electrifying display of grueling death metal (“Baphometic Catalyst”) and the pitch perfect first wave of black metal tremolo riffing in “Dilemma Manifestation”. These are tenants that made the band’s debut so scathing but here in the midst of all the band’s eccentricities these moments make an even bigger impact. Where they get it absolutely correct is in the suffocating feel of it all. The grinding take on black metal, the brutal (not pig squeals) death metal from Mephisto Deleterio and the aural devastation throughout makes for an exhilarating experience as well as a very rewarding one, particularly on successive spins. 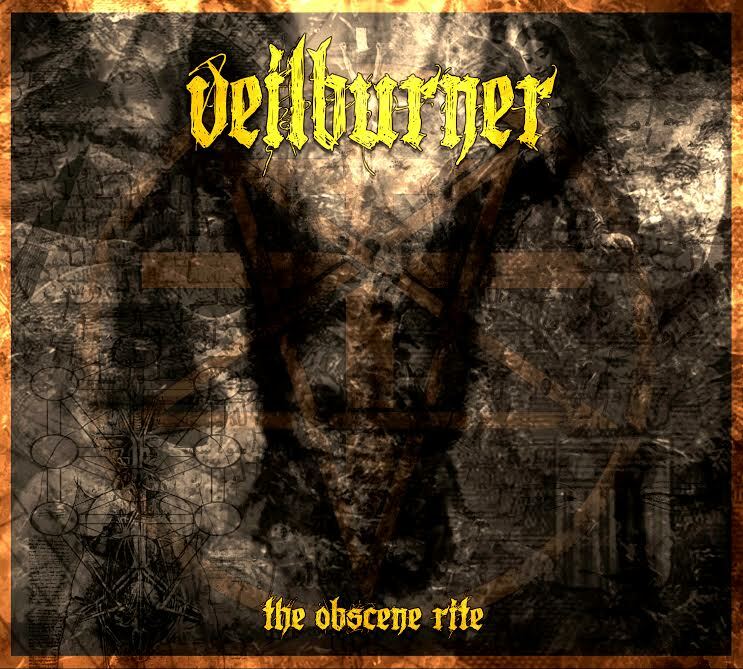 With The Obscene Rite, Veilburner have proven beyond any shadow of doubt that they are a unique and terrifying force to be reckoned with. The fact that they’ve combined the aggressive harshness from their debut and the progressive approach of their second release but have made this marriage sound better than either is astonishing. With the wide array offered here there’s no telling where their fourth album will go but let’s hope, for now, they finally get the attention they so deserve. The Obscene Rite will be available September 30 as an Independent release on Bandcamp. 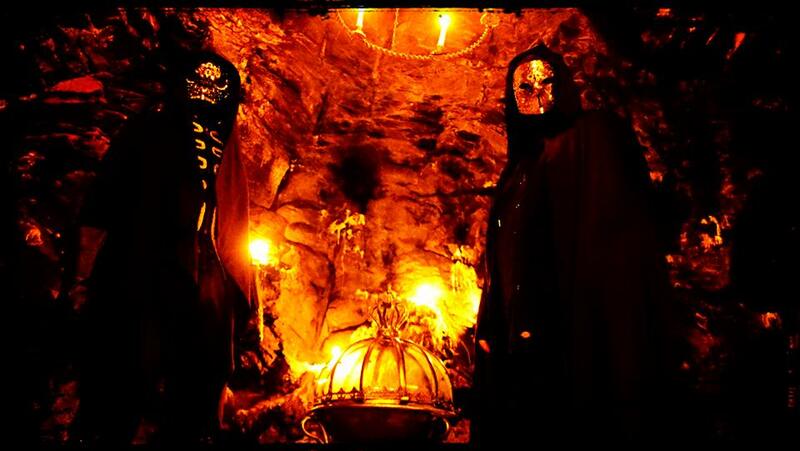 For more information on Veilburner visit the band’s Facebook page.